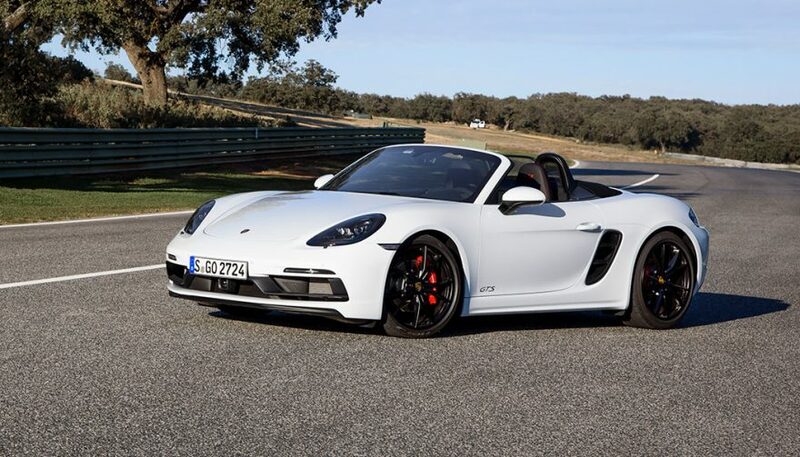 718 Boxster GTS is the highest-performing version of Porsche’s entry-level convertible. It just happens to offer some serious value too. Not getting a speeding ticket is cool, but have you seen the new Porsche 718 Boxster GTS? It’s the highest-performing version of Porsche’s entry-level convertible. And as a Porsche GTS model, it’s a compelling bang-for-the-buck package for the Porsche fan. Specifically, that’s because GTS models like this add unique styling touches, increased power, and more importantly, a value-priced bundle of performance goodies that are otherwise optional on other models. Rather than buying a lesser Boxster and adding some go-fast add-ons, you’re likely best to just go into the GTS package. It includes a standard collection of goodies that are optional on lesser Boxster variants. Including two-mode sports exhaust, the Sport Chrono package, and high-tech active sport suspension. Also, there are exclusive blacked-out wheels, special badging, smoked light lenses, and more. This machine is actually two cars in one. A high performing track-ready drop-top with authentically thrilling performance moves and a road-trip ready convertible that’s friendly to use every day of the year. Boxster’s engine is in the middle, which has numerous benefits. Including that you get a trunk in the front, and a trunk in the back. The engine sits behind the cockpit, and isn’t accessible from up top. Ultimately, here’s a baby supercar that’s got trunk space on par with your librarian’s Ford Focus. As two-seater performance convertibles go, the Porsche 718 Boxster GTS is accommodating and easy to live with. Getting in and out is a cinch: doors open wide, the openings are adequate, and the cabin is relatively open and inviting. Just about anyone will find their way into and out of their seat with ease. Even on a day of errands, getting in and out multiple times, you won’t feel worn down. One family friend is mobility-challenged, came for ride, and insisted I tell readers that this might be the perfect sports car for people who don’t think they can live with a sports car anymore. Once seated, there’s adequate storage for smaller items thanks to these handy door pockets. And a centre console bin that’s shallow but will keep your phone and wallet stored away nicely. Finally, it’s relatively easy to see out of, as cars like this go, easy to maneuver via a relatively small turning circle and a good back-up camera. Most if not all controls and interfaces are easy and logical. There’s a gorgeous instrument set, top-line detailing and trimmings, and a console that lets you open and close the roof in seconds. Right next to the controls for manipulating the full spectrum of custom performance customizations. My tester got a powerful stereo, heated and chilled seats, and a climate control system powerful enough to keep occupants toasty with the top-down. Even well into cool nights. Yes, yes: performance is the priority, but here’s a car easy enough to live with that you’ll want to drive it every day because you can. Without feeling like you’re getting a workout or sitting inside of a hole. 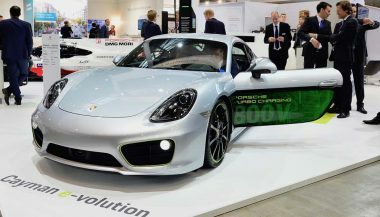 By designing the Boxster to be easy enough to use that you could, say, take it to the store to grab some milk, the company has ensured you’ll enjoy all the Porsche 718 Boxster GTS has to offer. As often as possible. If a two-person road trip is in the plans, top-down noise levels are about par for the course. Fuel mileage is excellent during leisurely cruising, and the ride quality is unexpectedly good. You’d expect the ride from the top-performing Boxster to be harsh and jarring. Compromising comfort for performance. But, while you know you’re in a sports car, I drove the tester for 5 hours straight on multiple occasions and found it just fine. It could get away with riding a lot worse. Partly, I figure that’s because when you put the engine in the middle where it belongs, and make the car as light as possible (which they largely have), you don’t necessarily need rigid shocks to make it handle well. In all, it’s stiff and sporty enough to remind you constantly of what the car is capable of. But without ramming it down your throat. The mid-mounted engine is a new-generation flat four-cylinder of 2.5 litres displacement. Turbocharged for 365 horsepower and over 300 pounds of torque. This drives the rear wheels via a 7-speed PDK transmission with paddle shift. There’s a six-speed manual available, if you like. With the high-tech PDK, you’re clear for lightning-speed gearshifts and perfect rev matching every time. With 0-60 in a tick over 4 seconds. Suspension toggles between normal and sport modes at a click of a button. In that sport mode, the body is kept closer to the wheels more of the time. 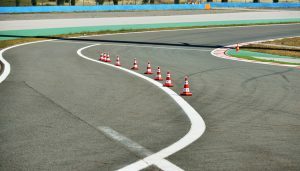 Drivers feel a higher resolution image of the road beneath. Exhaust has two modes, too—click for quiet, and again, for loud. Or, flick the steering-wheel-mounted dial into one of four drive mode presets, or press the button centered by that dial to call up Sport Response mode, for all systems go for top performance in about two milliseconds. Driven hard, the Porsche 718 Boxster GTS shines as a willing partner that’s encouraging, eager to please, very forgiving, and totally unbothered by any sort of high-speed driving. As mid-engine Porsche’s tend to, the overwhelming sensation communicated to the driver is ‘yup, we can do that’. The car feels naturally athletic, never feels like its fighting you, and works beautifully to support you. Regardless of skill level. And as yours increases, you’ve got a lot of car to grow into. Plus you’ll feel like a rock-star for the whole process. 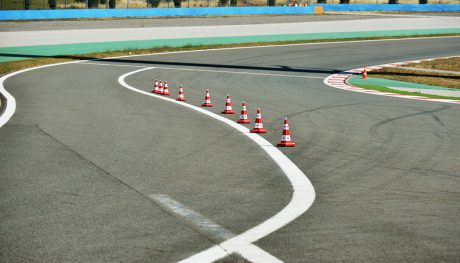 Steering is fast and sharp, and heavy, tiny inputs guide the car around, a la go-kart. The brakes work better and feel more precise the harder you use them, too. Here’s a car that flaunts its best stuff when operated with intent. 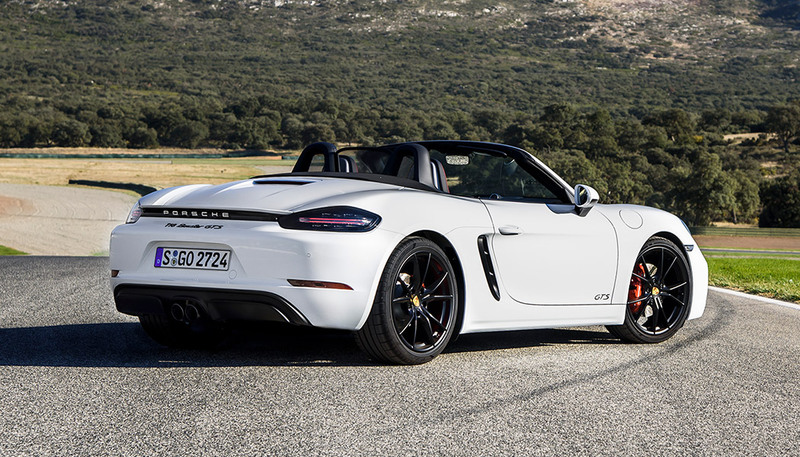 Gripes include the exhaust note, which sees a powerful growl that accompanies a wave of torque that really gets things done—but if you’re coming into the Porsche 718 Boxster GTS out of a few-year old unit with the former flat-six, you’re going to miss the exotic high-revving scream, and may find the new Subaru WRX-like exhaust character of this engine to be a downgrade. Also, the price. It’s expensive. Really expensive. In fact, any number of performance cars available for something like half the price are more powerful and even quicker. 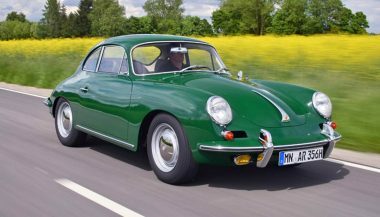 As it goes with Porsche, all-out performance is big bucks, but it’s money well spent if the feel, pedigree, everyday friendliness and finely-tuned performance thrills are things you’re willing to pay for. 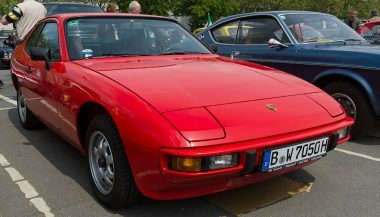 The car craze hit me early and long before I was driving a friend familiarized me with the Porsche 924 924 during it's initial 6-year American run. A Porsche electric car could knock Tesla off the top of the electric car mountain. Here's what know about the company's electric ambitions.